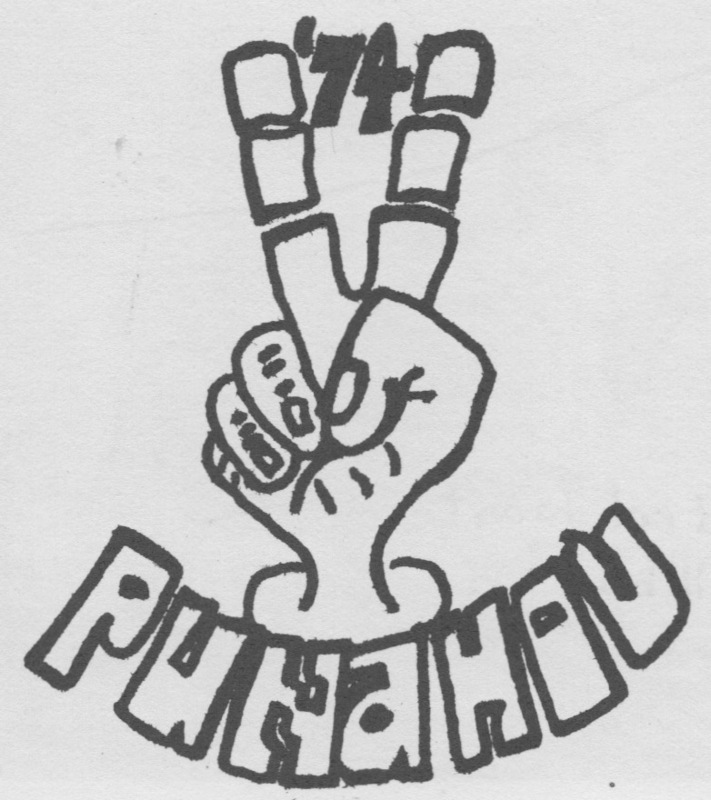 When plans were being made for Punahou74 to provide the floral decorations for Scott Metcalf’s memorial service an appeal was made for donations to purchase badly needed flowers and supplies. At the time of the appeal a promise was made to donate any excess funds received to Scott’s scholarship fund. 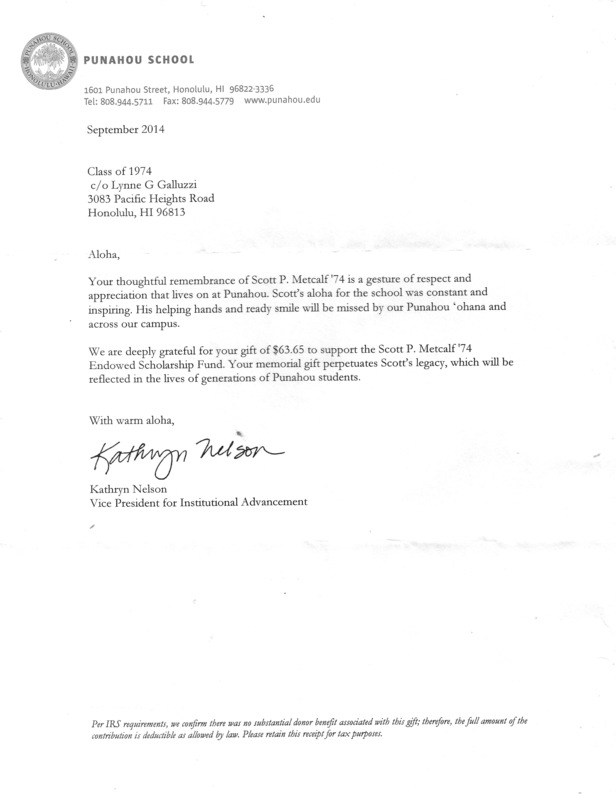 After all expenses were paid the excess $63.65 was donated to Punahou. As you can see from the letter above, it was credited to the scholarship fund. Mahalo again for answering the call to enable us to so beautifully decorate for Scott’s service.